Normalerweise heise ich Peter bin mitte 20 und komme aus Werneuchen im kreis Barnim in Brandenburg (Ost). Hab mich hier mal im Forum angemeldet in der Hoffnung hier mehr gleichgesinnte zu finden als in den anderen Foren die allgemeiner gehalten sind , vor allem in Bezug auf den schönen Lancer..
Ich habe auch vor den lancer demnächst ein wenig optisch zu modifizieren bzw. zu verschönern auch da habe ich immer ein offenes Ohr. Responsible for any content, image rights and attachments of this posting at (Saturday, May 21st 2016, 5:55pm) is the author Peatyo himself. Responsible for any content, image rights and attachments of this posting at (Saturday, May 21st 2016, 6:01pm) is the author Schnitte himself. Responsible for any content, image rights and attachments of this posting at (Sunday, May 22nd 2016, 12:37am) is the author Tepes himself. Responsible for any content, image rights and attachments of this posting at (Sunday, May 22nd 2016, 12:39am) is the author Peter_V6 himself. Responsible for any content, image rights and attachments of this posting at (Sunday, May 22nd 2016, 1:39am) is the author marc95 himself. Responsible for any content, image rights and attachments of this posting at (Sunday, May 22nd 2016, 6:00pm) is the author Alex himself. 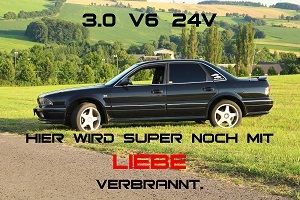 Na dann herzliche Willkommen und viel Spaß im Forum bei uns. 10 Reasons why you lost!!!!! Responsible for any content, image rights and attachments of this posting at (Sunday, May 22nd 2016, 6:28pm) is the author eclipse88 himself. Responsible for any content, image rights and attachments of this posting at (Sunday, May 22nd 2016, 10:25pm) is the author SchulleB himself.